THEN it really smelled like pizza-so I tried a tomato, and sure enough, it tasted like tomato sauce/buttery crust pizza-ish. I almost, ALMOST added the rest of the tomatoes and just ate those, but then decided to stick to the original plan, and added the sprouts. THEN, it tasted like a veggie pizza. What?! Must make again. 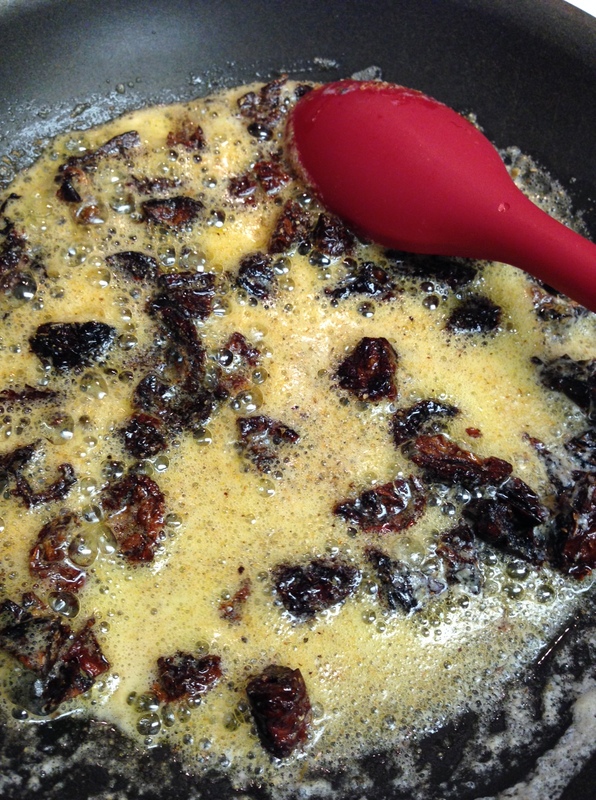 Start by melting the butter in a sauté pan, then cut (with kitchen shears, directly over the pan), the sun-dried tomatoes into the butter. Saute for about 10 minutes over low-medium heat, adding a good amount of garlic powder and oregano. It will smell heavenly. 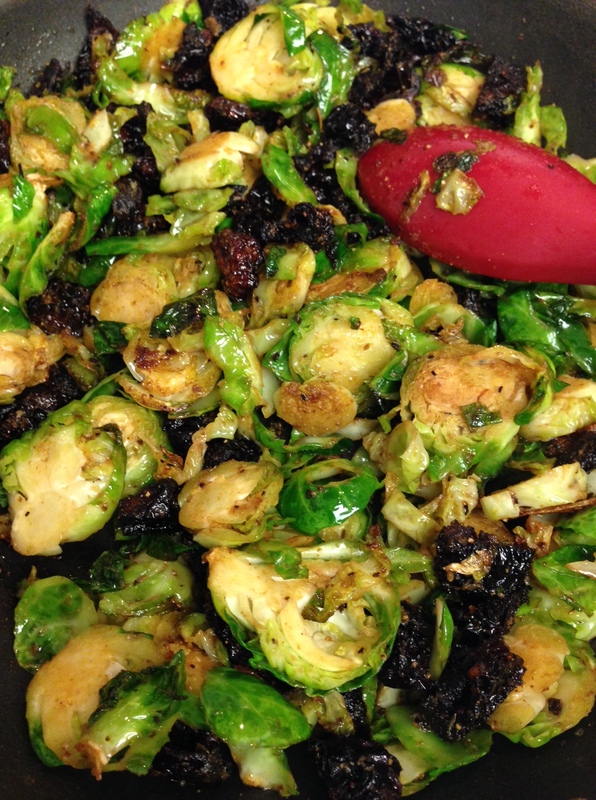 Then dump the bag of sprouts in and continue sautéing over medium heat until the sprouts start to brown. Season with a little salt and pepper! I ate it all by myself. Ooops.